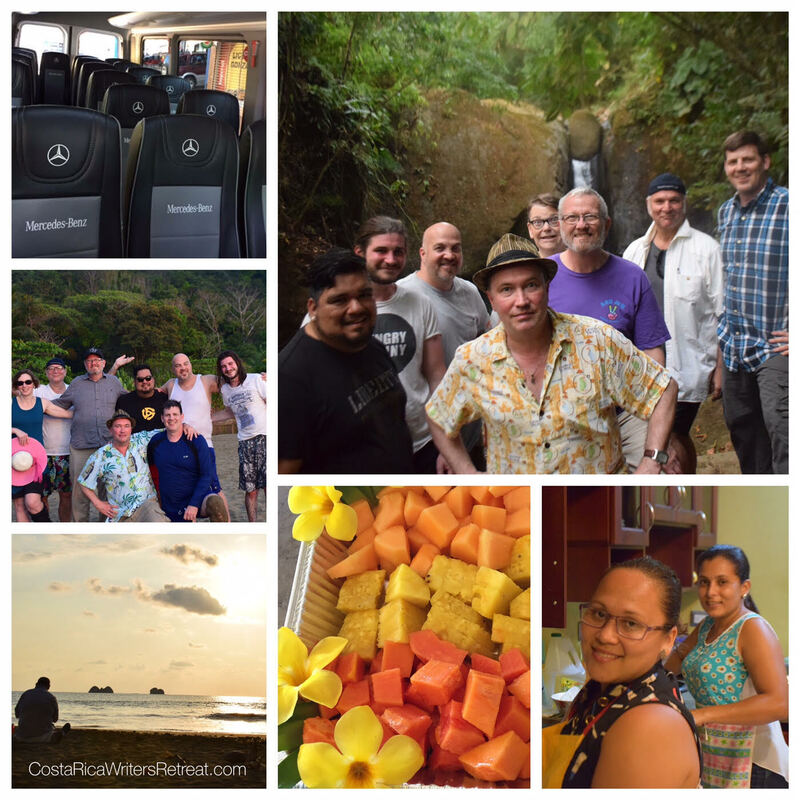 We handle all transportation in a luxury private shuttle, most meals (we have several social evenings at local restaurants), fresh fruit, lodging and snacks throughout the week. Private coach shuttle transportation from Juan Santamaria International Airport in San Jose, Costa Rica (airport code: SJO). Six nights of lodging. Every participant will be in a private, secure, bedroom. Most bedrooms have private bathroom. Casa Lapas: All three of the suites in Casa Lapas have air conditioning and private attached bathroom/shower. There is a private pool, rancho (covered area with BBQ) and ocean and mountain views. Casa Lapas is where all of the included meals will be served and almost all of the sessions. WiFi is available. Queen Suites: ($2,500/ea): Two suites available. Upstairs suites (private shower/toilet/sink). Each suite has sliding glass door access to the balcony. A/C in bedroom. DVD/TV. The Queen Suites share a balcony, with access via a sliding glass door in each suite. 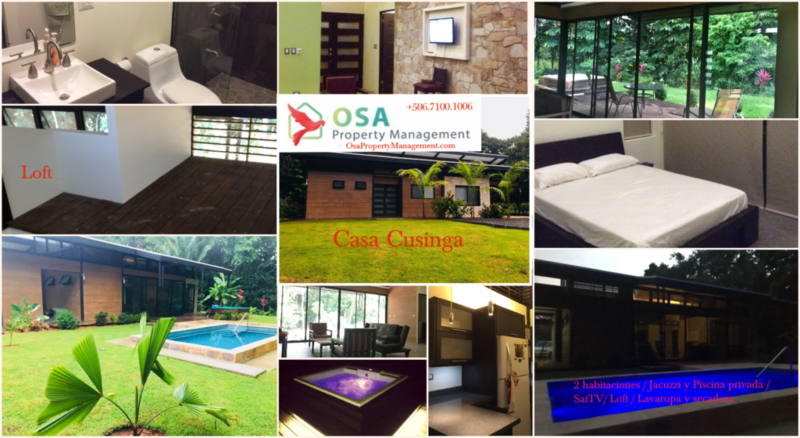 Casa Cusinga: Housed inside the more modern-rugged Casa Cusinga, are a step back in time for the photographer who desires a more classic, old school expatriate experience inside a modern-designed, with a rustic-feeling Costa Rican mountainside home. Cusingas (see photo of bird in upper right of collage below), howler monkeys and toucans have all been photographed from the back deck of Casa Cusinga. No WiFi and no air conditioning. However, amazing wildlife has been photographed from here and the 17 foot-high ceilings, along with the ceiling fans, keep this home cool throughout the year. Private Suite ($2,500): Queen size bed with private bathroom/shower, walkout to outdoor Jacuzzi and deck. Queen Room ($2,250): Queen size bed. Bathroom and laundry are five feet away. 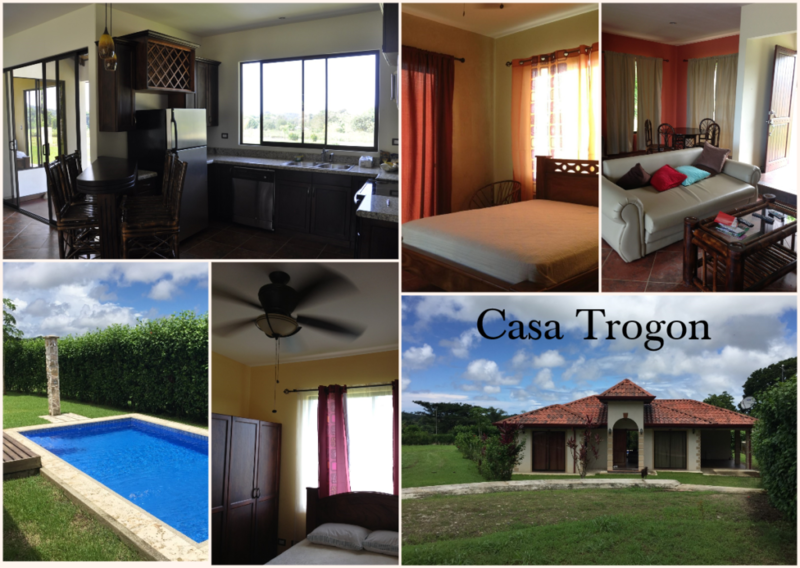 Casa Trogon: Each bedroom has air conditioning and a private bathroom with shower. This home has a private swimming pool, internet and full kitchen. Queen Suite 2: ($2,350): Queen bed, private bathroom/shower, sliding glass door to front yard. 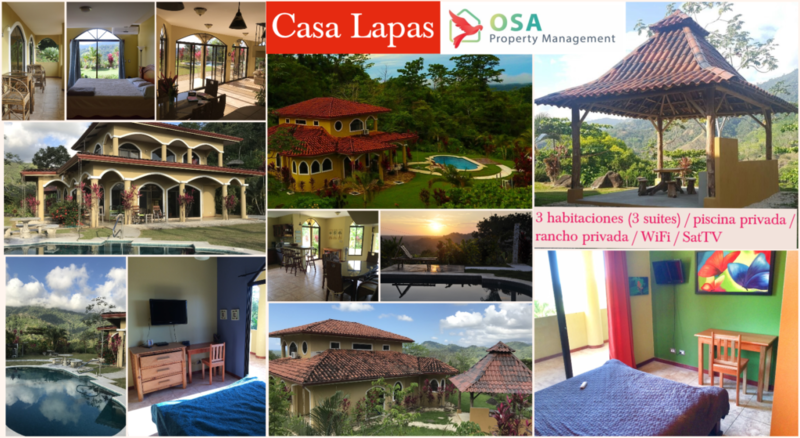 All retreaters will have access to Casa Lapas where all workshops and meals will take place (except for special occasions and field trips). Casa Lapas will be stocked with fruits/snacks and drink throughout the week. * NOTE: If you choose to bring a partner/spouse, they will be charged $950, regardless if they participate in any activities. This is due to the fact that all meals are eaten together and we don't want to exclude anyone (and we will not price out individual meals or activities). The group spends a considerable amount of time together and we need to ensure there is proper transportation space available.